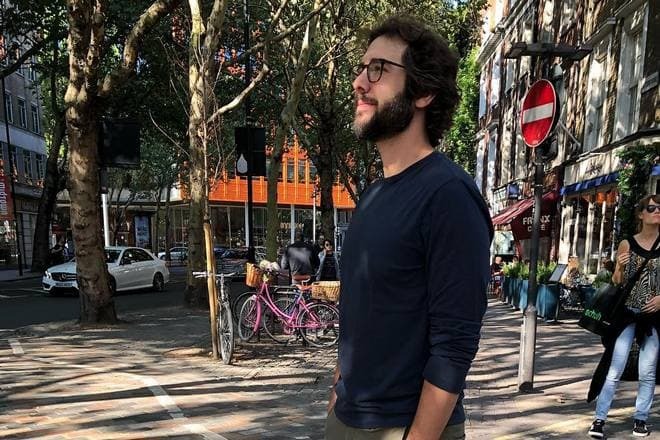 Josh Groban is like a top student in a class: he is a good example to follow. He not only received many prestigious music awards but also became the Person of the Year. The man is a polyglot who sings in six languages and a participant of charity events. The artist has collaborated with many notable musicians: Charles Aznavour, Barbra Streisand, Mireille Mathieu, Elton John, Robbie Williams, Lara Fabian, and others. The secret of the success is simple: to love what you do, work hard, and conquer the heart of David Foster himself at the beginning of one’s career. Josh was born on February 27, 1981, in Los Angeles. He grew up in the loving family atmosphere; the family loved art and instilled this love in the boy. The parents were not connected with music professionally: the father was a businessman, and the mother was a teacher. 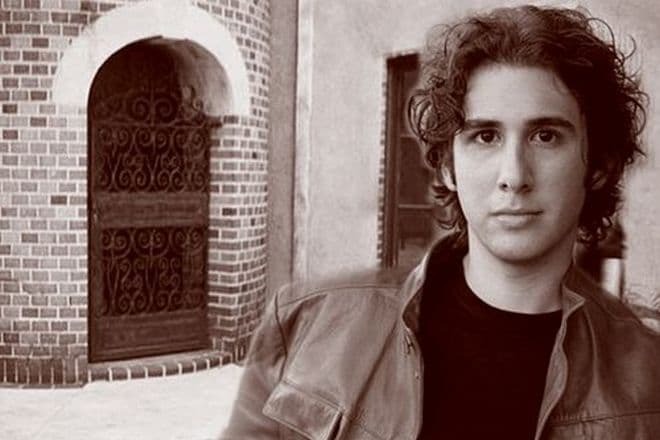 Nothing foretold the wonderful development of Groban’s career in his childhood. Although the future star absorbed music gladly, he dreamed of becoming a veterinarian and, later, an actor or comedian. The teenager debuted on the school stage in the seventh grade: his teachers and parents were impressed by Josh’s vocal talent. Soon, he transferred to Bridges Academy and simultaneously studied at Interlochen Arts Camp. Further on, he chose Los Angeles County High School Arts and CMU that were famous for preparing students for the theater career. Everything changed when Josh was 17. One of the most successful producers got the recording where the young man performed a part in The Phantom of the Opera. The young talent was invited to the significant events: the California Governor's inauguration (there were more than 20 thousand people present) and the Grammy ceremony where Josh Groban replaced Andrea Bocelli who had fallen ill and sang with Celine Dion. The success was tremendous, and Josh received many fascinating offers: The Rosie O'Donnell Show, the collaboration with Warner Bros. Records that presented his debuting album, and a drama series where a character was created for Josh Groban. The audience was asking millions of questions about the young talent; a personal website with detailed information about the musician was created quickly. There were no problems with the first album sales. The vocalist was an honorable guest at a Christmas performance in the Vatican, the Nobel Prize ceremony, The Andre Agassi Grand Slam Event for Children, and the closing ceremony of the 2002 Winter Olympics. The next year, the singer presented the second album which became platinum five times. The cover “You Raise Me Up” was nominated for the Academy Award; another song was a Grammy nominee. The romantic song “Mi Morena” was also a popular single. On October 9, 2007, the Christmas Noël was released; the album broke Elvis Presley’s record of being the Billboard 200 top song. As the musician said, the genre of crossover chose him, considering the peculiarities of his voice. Mixing classical and modern music is Groban’s hobby, and he also continues the legacy of his icon, Paul Simon. In addition to his main occupation, Josh tried to work on series and got some unusual roles on TV: a cooking show presenter and an Internet show host. On May 19, 2010, the musician gave a concert in Crocus City Hall, Moscow, Russia. In 2016, Josh Groban starred in a musical based on War and Peace. By the way, the singer has some Russian roots from his father’s side. In April 2016, the singer Ruslan Alekhno personified Groban in the TV show One to One! He performed the song “Per Te”; the jury appreciated his work. Josh Groban’s sensual vocal and love themes in his songs gave the media the idea the musician was gay. When he was asked about it directly, he only laughed: he said he would not hesitate to come out if he were gay. Indeed, the man’s rich personal life speaks for itself: the three-year romance with the photo model January Jones that turned into friendship, the romance with Katy Perry, the short affair with the comedian April Bowlby. Groban used to date Michelle Trachtenberg and allegedly had a relationship with Selma Blair who starred in Legally Blonde. Kat Dennings, the star of Thor: The Dark World and 2 Broke Girls, was the musician’s recent girlfriend. The couple broke up in 2016 but continued to communicate and support each other. By now, the musician has no children. There is also no information about Groban’s new relationships. After the three-year time-out, the singer had the tenth album released on September 21, 2018; there were a dozen songs there. The black-and-white music video “River” was presented ten days before the album came out; it has more than half a million views on YouTube. Groban appears on TV frequently. In 2017, Josh and Sara Bareilles hosted the Tony Awards ceremony together. The next year, the man played a lieutenant in The Good Cop and participated in Mickey's 90th Spectacular. Josh has verified Instagram and Twitter accounts where he posts some moments from his work, funny caricatures made by fans, memes and videos he likes, the father’s congratulations, photos of his dog, and touching words of gratitude to his friends, colleagues, and even his barber. The singer’s Facebook page is the most popular social network page: millions of people follow him there. During the Russian concert, the musician said he collected socks from his teenage years and liked flowers and hats. Josh believes that meetings with his icons were the most thrilling moments in his life. He would impress his partner by the chance to travel together, not singing. Groban’s Find Your Light Foundation for young talents is still operating. The latest news and the information about upcoming events may be found on the official website; it is also possible to make a donation there.